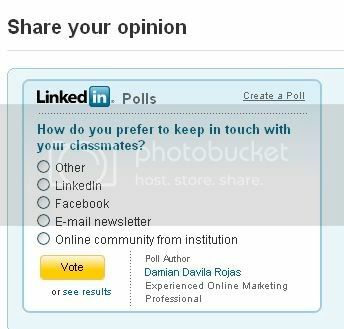 Back in May 2009, I wrote a review of the application LinkedIn Polls available on LinkedIn and how LinkedIn Polls can be used to do some great permission e-mail marketing polling. I strongly believe that this LinkedIn application is a great way to gather data fast and to create actionable bar graphs that you can e-mail to your colleagues. More importantly it follows the fundamentals of permission e-mail marketing by making polls more personal, relevant and anticipated. On this post I wanted to provide an example of how we can use LinkedIn Polls not only to meet the fundamentals of an e-mail permission marketing campaign but also to gather useful qualitative data from your respondents. Currently I am working for a non-profit organization that has as one of its goal to provide its Alumni and Associates (anybody who has either participated in a conference, seminar or event) engaged through its world wide network. My job is to develop and maintain our online presence, which includes a website, a blog, several online communities (e.g. 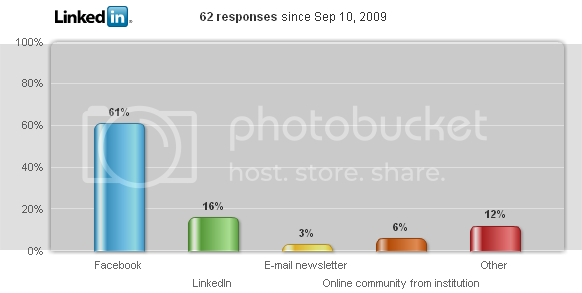 LinkedIn) and e-mail newsletters. Notice that I mentioned “several online communities”. 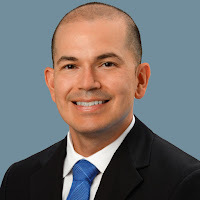 We have a LinkedIn Group, 2 Facebook Pages, 1 Facebook Group, and 1 Harris Connect Online Community. There’s now even talk of creating several Ning communities and a Twitter account. Are all of this online communities necessary? To answer this question, I created a quick online poll on LinkedIn. You can submit your poll to either your 1st degree connections or a target audience of professionals in the U.S (this option is free for premium subscribers). 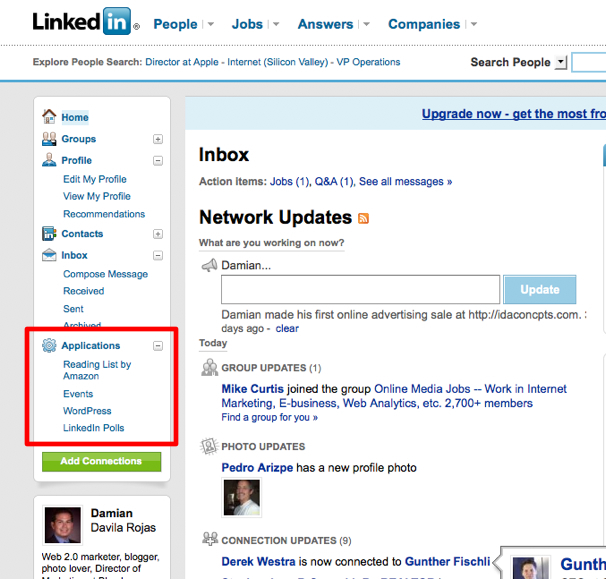 I would recommend to stick with the first option (targeting your first degree connections) because this makes your poll personal (”Hey Mike can you take a loot at this?”), relevant (”Susan, your input is important to me because I know your expertise in marketing while we worked together), and anticipated (Linkedin is a site for networking!). Even though you may have lots of connections on LinkedIn, you should consider including the link to you LinkedIn Poll on RELEVANT LinkedIn Groups. In this case, I included this poll in the Alumni groups or associations that I belong to in LinkedIn such as University of Alberta Alumni, Beta Gamma Sigma, Delta Upsilon Fraternity, among others. There are lots of different kinds of groups on LinkedIn. Join the ones that you strongly believe that will provide you added value. Also, make sure that you actually qualify to join because some may have a list of requirements (e.g. company e-mail, student ID). How do people prefer to keep in touch with their classmates? 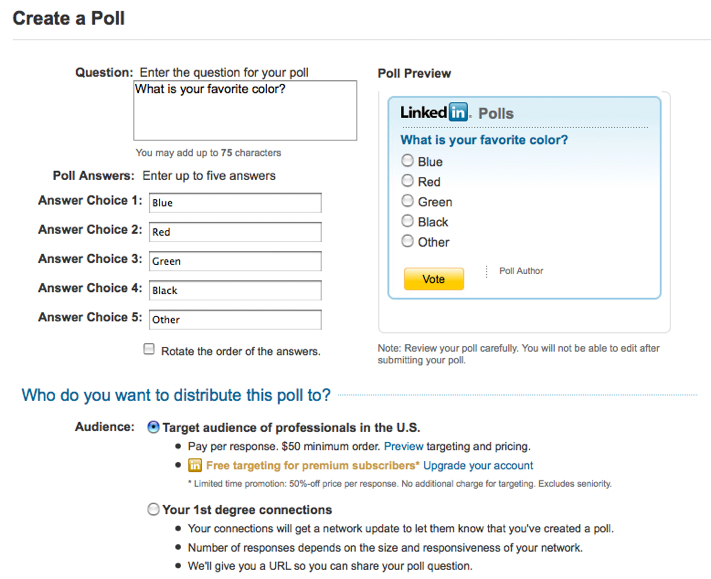 Notice that this poll was conducted on LinkedIn and still LinkedIn is only preferred by 16% of respondents. (Disclaimer: Yes, it is a small sample, 62. Use what most of them use – Facebook. It’s better for casual conversation. 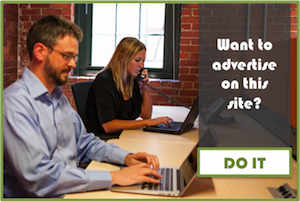 For 20 to 40 somethings…Facebook, Facebook, Facebook! However, still for those that realize that Facebook is the best way to keep in touch with the bulk of their classmates, they comment on the need of a more professional network such as LinkedIn. Of course Facebook is the most popular way to keep in touch with classmates. I think it can work for students who stay in the same unviersity over 5 years. But when you travel, you get to know a lot of people and facebook isn’t the most appropriate for keeping in touch with classmates. Therefore I do prefer Linkedin. I think that people’s preference depends on how they see their classmates – as friends or colleagues. In my case, some of my classmates from my graduate classes are, of course, my friends, but often they are more in the category of colleagues who share the same research interests. For me, Facebook is great in order to maintain a relationship with close friends but not necessarily with somebody from your professional community. Therefore, in my case, I prefer definitely LinkedIn over Facebook. Facebook primarily, but LinkedIn also works. Most of my former high school classmates that use technology are hooked in with me via Facebook, because they tend to be “personal” connections, while my University faculty of business classmates are “linked-in” because it was business school where we launched our careers, and many of those relationships are primarily career related. Again, as others have indicated, which medium is best depends on the individual relationship. My closest alumni friends are hooked in with multiple media; we use LinkedIn for business networking and Facebook for personal “fun” stuff. Facebook is the preferred method of keeping in touch with classmates by people. However, there is recognition of the need of a professional networking such as LinkedIn. I prefer Skype. Because they are those selected people that you actually keep in touch with and share valuable updates on each others’ lives. I prefer either to meet them in person or talk to them on the phone rather than chatting over the Internet. In person (i.e. drinks or lunch) is always best for those we were closest with. Next best is phone (if they are a long distance away) followed by email. Interesting results, thanks for sharing this information. The form of your question is a little vague, as “keep in touch”can mean different things to different people, but there is still some value in this as a broad look at a trend. I’m interested to see 6% say that their own institution’s online community is preferred – one wonders why such communities are still maintained. If you repeat this survey to see whether things have changed over time, you might consider specifying whether people are keeping in touch with a group, or with individuals. You rightly point out the value of different LinkedIn groups for different purposes (and of course Facebook pages and groups do the same thing). Thank you for visiting here. I’m a big fan of your blog “Alumni Futures”. There’s a lot of great alumni relations professionals following your blog. The post on the use of LinkedIn groups by alumni associations is very interesting. Regarding the wording of the question, yes, I am well known for doing polls with a big of a too “open”. I hope that the feedback from this poll provides some food for thought for future posts at your blog. Thank you for the suggestions on tweaking the poll, I will consider them for the next poll.